I received the following email about my article that animals do not have “rights” (cut and pasted directly, though I removed an spurious HTML character). lives……thank you for your time. What I enjoyed most about this email is the mix of foul-mouthed apoplexy and politeness. It is not very unlike Yours Truly. Here is a person I can talk to, I thought. Well, when you say “IF YOU EVER HAD, POSSIBLY, YOU, after having to be CONSISTANTLY BEATEN FOR NO REASON, SCARED OUT OF YOUR MIND, POKED WITH TINES, and ELECTRCUTED, for no reason” you forget that I went through Basic Training (I don’t dare make a joke about marriage here). Anyway, these sorts of things are legitimate “lifestyle” choices for many these days. Fifty shades of poking and prodding. Don’t be so judgmental. Interests differ. Some may be critical of your spelling. Not I. I love to pieces your neologism CONSISTANTLY, which is a creative and evocative pasting together of consistently and constantly. I shall use this word often, crediting you when I do. 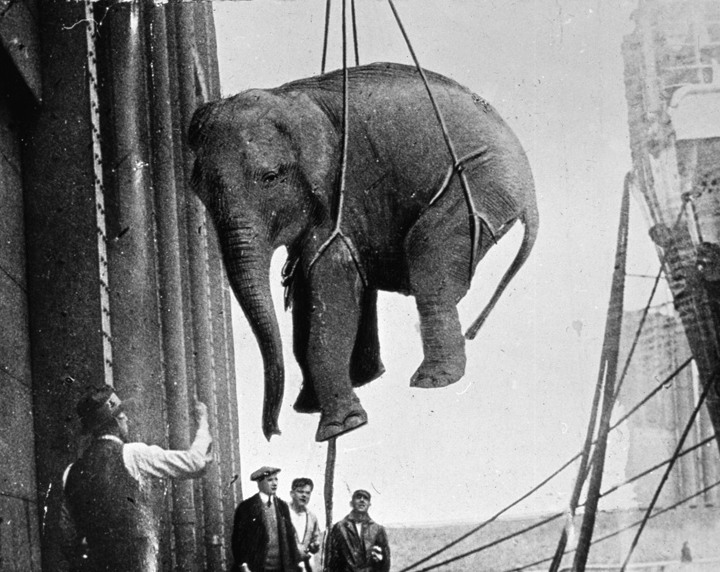 I think you’re wrong that the Circus “was strictly for PROFIT!” If they had been making a profit, they’d still be making the elephants jump through flaming hoops on tiny tricycles, tug those giant ropes that make the tent poles rise, and providing endless buckets of fertilizer. The real mystery is what was done with this fertilizer. I suspect it was shipped to Washington and turned into regulations. Theories differ. And I don’t think you’ve considered fully the harm caused by the closing of the circus. I mentioned some economic consequences in the original article. But think of the poor peanut farmers! And what about those unfortunate mice used to frighten the big beats to their hind legs? All thrown out of work! They were probably eaten by the stray cats that used to hook along behind the circus. Yes. Despite years of training and raising awareness by PETA, cats still eat meat. It’s a cruel world. The next obvious question is: what happened to the elephants? I think they were sent to certain Texas ranches to be bred for meat. It is well known in Kenya, for example, that nothing beats elephant sausage roasted over an open flame. I myself prefer lion: elephant gives me gas. Tastes differ. I take it kindly that “should you ever feel the NEED to be treated as the animals they have in their care, I suggest strongly. go to them for a job…..you are their type.” It was sweet of you to recall that I am always on the look out for paying work. Now I have been called a clown on this forum so often, that I feel sure I am well qualified for that position. Alas, with the circus closing they won’t have a slot for me. Maybe I’ll apply at the slaughterhouses down San Anton’ way. Wherever the circus traveled, there was a ready crowd, and the bleacher seats would be packed. As little as twenty years ago I took my kids to see the circus at Madison Sq. Garden in New York. While people were there, it wasn’t packed by any means. There were other distractions on a weekend afternoon, and gaping at the animals and the performers wasn’t at the top of many people’s lists. That is the nub of it. The “circus” part of “bread and circuses” has been replaced with streaming Netflix, video games, and the endless electronic amusements that people are connected to (forget “having access”–they are never not connected). The demise of Barnum & Bailey had very little to do with PETA’s bleating and antics, and very much to do with the changing tastes of the public, vis a vis entertainment. That said, the meme of PETA’s tireless activism triumphing over an iconic symbol of America is too good to pass up. I hope you follow up on this offer. The story of this family’s STRUGGLE might be FASCINATING. When I was a kid, about ten or so, walking home from school one day, I noticed two boys throwing a frog against a brick wall on the side of an apartment building. So, I grabbed a branch from a willow tree nearby, ran up to them, and beat the living the hell out of both of them with that branch. The lesson? They probably grew up to be Republicans. Yes, I’m a hypocrite. I eat meat. I’m human. I’m an omnivore. I know that animals can be slaughtered in a humane way, so at least they don’t know it’s coming or what’s happening, and I know that animals can be treated better while they’re alive, for their sake and for the sake of our humanity. And I know that often what I eat is probably not treated as humanely as should be. So, I try to be active in the Animal Rights community, give to to good charities that work to make life a little better for the animals around us and those critters we eat. Animals should have legal rights, they do have some legal protections, but the law is inconsistent here. But I don’t go around beating people with switches over it. I just look down at people who look down at animals the same way I look at child molesters or wife beaters. Just really lowly, lowly, lowly souls. The best way to ensure the elephants’ demise would be to turn them over to PETA. If PETA cares for them the way it cares for dogs and cats the elephants remaining time would be short indeed. I wonder if Barbara and her family have been fighting that as well. May I add, “But I don’t go around beating people with switches over it, anymore.” I was ten, though, so I must get some slack for that. A. de Tocqueville observed how slavery adversely affected the very character of not only the white slave holders, but of the broader society of free people themselves — “ignorant and apathetic,” “scornful of labor,” idleness, generally poorer with little or no ambition or drive to excel, etc. — these broad [and today we would nearly universally consider them very negative] social traits induced by slavery in the free men (regardless if they owned slaves). Say what one will of slavery’s impact on the slaves, it’s effect on the seeming beneficiaries of those exploiting slavery was also adverse, measurably so (e.g. see http://digitalcommons.iwu.edu/cgi/viewcontent.cgi?article=1029&context=uauje ). It seems to me that our humanity, as a society and/or individually, is diminished to some extent, surely by large-scale slavery as de Tocqueville observed (that for economic survival), but also in some small way when we ignore/tolerate cases of animal abuse (when more ‘humane’ training approaches could have been applied–that for mere entertainment). This isn’t some philosophical or legalistic debate about ‘animal rights’ so much as an attitude that in some small way contributes to defining/molding our own aggregate moral character. Yes, Ken has it right (or at least, I see it the same way, either we are both right or both not quite right). Animals do not and *cannot* have rights. People don’t actually have rights either, it is not a thing you HAVE, it is a thing you CLAIM and hope others believe you. It is part of a social contract. Since you cannot contract with an animal, there can be no social contract with an animal, and without social contract there can be no rights. But there can be, and ought to be, protections of animals because of the likely relationship to inter-human behavior. Bully behavior toward animals breeds or facilitates bully behavior toward other humans; but even if not, some behavior is just “bad” and ought to be discouraged. The human race cannot very well evolve culturally by allowing cruelty among and by humans.